Given what has transpired over the last couple of days involving the Las Vegas Aces, the grandeur and spectacle of what was a great All-Star weekend in Minneapolis (that we at Beyond The W/The W Podcast had the privilege of taking in) may seem like ages ago. 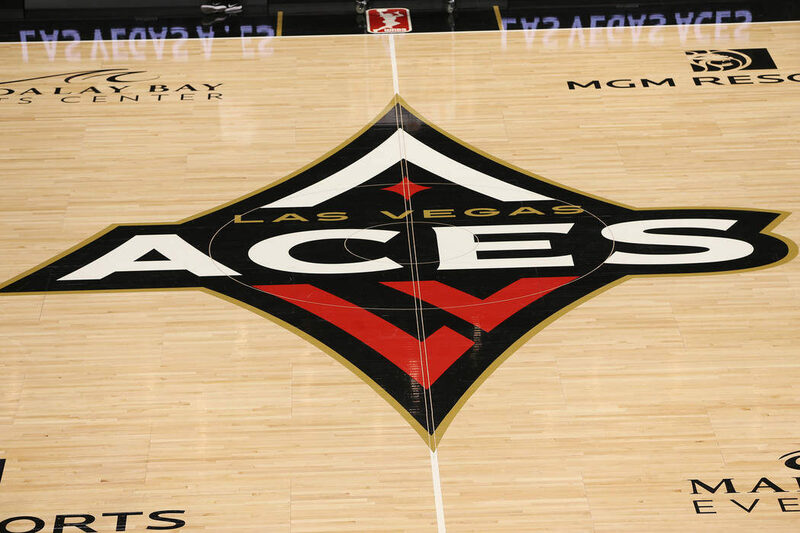 Just look at the travel debacle that has ensued over the last few days involving the Las Vegas Aces. More than 24 hours – a full day – of travel woes and delays ensuing from McCarran International Airport and the WNBA announced that the Aces’ scheduled game against the Washington Mystics would be cancelled – 15 minutes prior to tip-off. Ok, let us put one issue to bed before we continue here – for all of those that want to use this as another opportunity to pile on women’s sports – have (not just some, but) all of the seats. 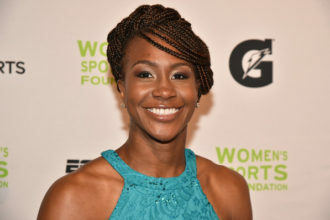 We as fans and media love the WNBA and sometimes, loving something means dishing out tough love when you know it can do better. So, for the haters – do not even think about criticizing something you are not even trying to understand because we will come after you with the quickness faster than you can say Las Vegas Aces. Now – back to the issue at hand. The crux of all of this is that WNBA teams have to fly commercial. Something tells us that if they flew first-class as their (male) NBA counterparts do, that many of these travel issues would have been mitigated. Now, there appears to have been reports that the Indiana Fever were going through their own travel problems in getting to New York as their next road game is at the Liberty. There is also the issue of if it will go down as a forfeiture or a straight-up cancellation. While there is a good chance the WNBA will look at it and rule it as a forfeiture, it will only be a forfeiture because the league was asleep at the wheel in assessing the situation with the Aces. One has to take into consideration that the Aces’ trip from Las Vegas to Washington, D.C. is a cross-country flight. This is not exactly the Aces going to Phoenix or Los Angeles – places that are a relative hop, skip, and jump in comparison to the District. One must also take note of the fact that the very, same team that got the short end of the stick the last 48 hours from the WNBA is the very, same team (and organization – MGM) that will host next season’s All-Star Game in Las Vegas. 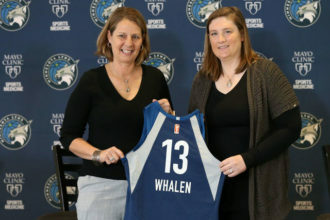 It is a cross-country flight with a connector in – ironically, another WNBA city in Dallas. This creates issues with jetlag and it creates overall issues with player safety as well. 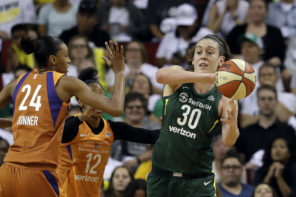 For the WNBA to announce 15 minutes prior to tip-off that the game would be cancelled, when it should have been cancelled or moved to another date (if possible) looks to fans and media as if it did not do its due diligence in assessing the situation. This is the downside in compressing the season for a player base that is told to always fly coach. It does not take into consideration the possibility of this playing out potentially. A devastating scenario that clearly calls for a cancellation for the sake of the players, and the best that was initially done was move the game an hour back. Everyone could see that it was a scenario that called for a cancellation/postponement and the WNBA only got the message 15 minutes prior to the Aces’ scheduled tip-off at Capital One Arena vs. the Mystics. Not to mention that it is a game with playoff implications that should be played. But, one will take a 100-percent Aces team fighting for one of the eight postseason berths over a travel-ridden Aces team having to step out on the court. The last thing the WNBA needed going into CBA negotiations with the WNBPA is any more focal points of conflict with the players. It already had its fair share from equal pay to revenue sharing and having to play overseas. The Aces’ statement that was released was done so through the WNBPA. That should tell us all we need to know about how steamed the players were about how Lisa Borders and the WNBA handled this. 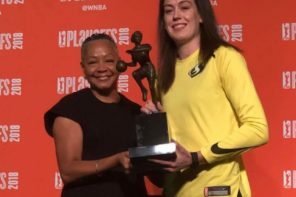 If any good came out of this, it was how we saw that the Las Vegas Aces’ social media team is one of the best in the WNBA. 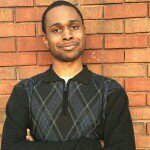 Not so much so in the case of the Connecticut Sun, who may have crossed some boundaries with some of its social content. We love this league. We love these players and what they represent as true role models for women everywhere. But, sometimes, loving someone means calling them out when it is clear they have their heads in the sand. This, regrettably, is one of those times. But it must be done.